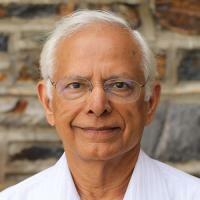 Kishor Trivedi heads Duke High Availability Assurance Laboratory (DHAAL) and holds the Hudson Chair in the Department of Electrical and Computer Engineering at Duke University. He is known as a leading international expert in the domain of reliability and performability evaluation of Dependable systems, and has made seminal contributions to stochastic modeling formalisms and their efficient solution. He is currently carrying out experimental research in software reliability during operation where he is researching software fault tolerance through environmental diversity. This work, including software bug classification, empirical study of real failure data and associated theory of affordable software fault tolerance, has already gained significant attention. He has made key contributions to his field in many ways. He has encapsulated developed algorithms into usable and well circulated software packages, and applied research results to practical problems working directly with industry. This work has not only been able to solve difficult real-life problems but also produce new research based on the problems. He has published over 600 articles, has supervised 46 Ph.D. dissertations and more than 30 postdoctoral associates. He is a Life Fellow of the Institute of Electrical and Electronics Engineers and a Golden Core Member of IEEE Computer Society. He has served on many editorial boards and conference committees and is the recipient of IEEE Computer Society Technical Achievement Award for his research on Software Aging and Rejuvenation. He is on ISI’s highly cited list with an h-index of 97, and has received grants from such governmental agencies as NASA, NATO, NSF, DARPA, AFOSR, ARO, NIH, NSWC, ONR, and RADC. Trivedi has also helped several high-profile companies carry out reliability/availability prediction of their products under design or in existence, including 3Com, Avaya, Boeing, Cisco, DEC, EMC, GE, HP, Huawei, IBM, Lucent, NEC, TCS, Union Switch and Signals, Wipro. Most notable among these, is his help in reliability modeling of the current return network subsystem of the Boeing 787 for FAA certification. The algorithm he developed for this problem has been jointly patented by Boeing and Trivedi. He led the reliability/availability modeling of SIP on IBM WebSphere; this model was responsible for the sale of the system by IBM to AT & T.
Furthermore, Trivedi has written several influential books, including textbooks. He is the author of a well-known text entitled, Probability and Statistics with Reliability, Queuing and Computer Science Applications, originally published by Prentice-Hall; a thoroughly revised second edition (including its Indian edition) has been published by John Wiley. This book is translated into Chinese in Nov. 2015. This book has appeared as a paperback in July 2016.He has also published two other books titled, Performance and Reliability Analysis of Computer Systems, published by Springer and Queueing Networks and Markov Chains by John Wiley. His latest book, Reliability and Availability Engineering: Modeling, Analysis and Applications, is published by Cambridge University Press in 2017. Ma, X; Trivedi, KS, Reliability and performance of general two-dimensional broadcast wireless network, Performance Evaluation, vol 95 (2016), pp. 41-59 [10.1016/j.peva.2015.09.005] [abs]. Trivedi, KS; Xia, R, Quantification of system survivability, Telecommunication Systems, vol 60 no. 4 (2015), pp. 451-470 [10.1007/s11235-015-9988-6] [abs]. Rak, J; Pickavet, M; Trivedi, KS; Lopez, JA; Koster, AMCA; Sterbenz, JPG; Çetinkaya, EK; Gomes, T; Gunkel, M; Walkowiak, K; Staessens, D, Future research directions in design of reliable communication systems, Telecommunication Systems, vol 60 no. 4 (2015), pp. 423-450 [10.1007/s11235-015-9987-7] [abs].